We have an extensive choice of seasonal & classic traditional real ales to suit any outlet. ORDER NOW from our in stock list or contact our sales team with your preference. 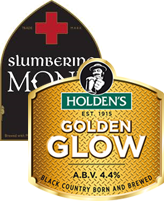 Holden's Golden Glow - Web Exclusive Price £75.00 + vat per 9g firkin. Joule's Slumbering Monk - Web Exclusive Price £72.00 + vat per 9g firkin. The classic Gin & Tonic is enjoying a resurgence this year. Offer your customers something special with a range of premium gins & a mixer to match - all available SAME DAY. 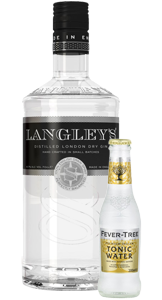 Web Exclusive - 2x70cl Langley's No8 + 1 case Fever Tree Mixer (VAS) only £55.00 + vat. 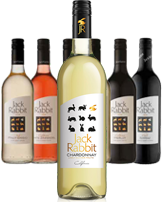 Web Exclusive - purchase eleven bottles of 75cl Jack Rabbit Wine & get the twelfth bottle absolutely FREE. Make the most of the spike in wine sales by improving your profitability & margin. 11 bottles = £48.40 + vat - twelfth bottle FREE OF CHARGE! Welcome to Premier PubCo; your No1 choice for independent wholesale of beers, wines, spirits & soft drinks based in Staffordshire, UK. Incorporated in 2001, & designed with the chief principle of "excellent customer service", for over fifteen years we have been supporting the pub, club & restaurant trade across the midlands. Our well established relationship with all major brewers, vintners & spirit brand owners has unlocked an unrivalled level of customer support which can give your outlet the edge in an increasingly competitive market. Premier PubCo's innovative & flexible business model & trade expertise will help you, the customer to maximise profitability & stand apart from the crowd. THE "one stop shop" for ALL of your needs. With thousands of lines available & a willingness to procure almost anything, you can be confident of getting the products you need when you need them MOST. Six day operation (including Bank Holidays) & a same day delivery service means that you can trust Premier PubCo to deliver. Premier PubCo has achieved Partner Wholesale status with most of the major players in the brewing industry. If there's a product you're looking for, please contact our wholesale team. There has been huge growth in the EVENTS sector of on-trade in recent years. Premier PubCo can take complete control of the organisational side of your event; offering marquee hire, catering, staff, entertainment, and importantly we offer temporary dispense of almost ANY product ANYwhere. From a small garden party or wine tasting event amongst friends to a music festival or sporting event, our team can ensure your guests have a day to remember. If the rare, weird or wonderful is your thing, it's worth taking the time to talk to US. Already trading with many of the Midlands' wine & whisky collectors, we have recently reacted to the expansion of the gin market with an impressive portfolio of "in stock" lines. With sufficient notice, almost ANY product is available... Just ASK! Unit 21, Navigation Way, Cannock, WS11 7XU. Use the form below to get in touch with us and we will get back to you within 24 hours. Fields marked with a * are required. Copyright © 2019, Premier PubCo Ltd. Powered by On2net (UK) Ltd.
To request our in stock list please enter your email address in to the form below.